Before a window or door is assembled, every piece of wood is put through our proprietary multi-step, integrated conditioning and staining process. As part of this process, the wood is conditioned, sanded, baked to insure a more ideal, lasting and beautiful finish. DECORATIVE GLASS, MARVIN'S 5 MOST POPULAR, DID YOU KNOW? Sandblasted (SC75) is available Annealed or Tempered (Sandblasted piece is always tempered). It can be used with GBG, SDL and glass thicknesses of 1/8", 5/32", 3/16" or 1/4"
English 1/2" Reeded is available Annealed or Tempered. It can be used in a vertical or horizontal orientation. Also available with GBG and at a 5/32" thickness. Glue Chip is available Annealed or Tempered. It can be used with GBG, SDL and glass thicknesses of 5/32"
Rain is available Annealed or Tempered. It can be used with GBG and at a glass thickness of 5/32". Frost is available Annealed or Tempered. It can be used with GBG, SDL and glass thicknesses of 5/32". Sandblasted, Glue Chip and Frost textures are on surface #3 unless combined with Low E1 in which case it will be on surface #2. Rain and English 1/2" Reeded glass textures are on surface #4. Options with Low E1, Low E2 or Low E3 are only available for windows. For performance ratings, these glasses are rated by the NFRC by glass type and window style with Obscure Glass option. Rain and English 1/2" Reeded are not available with SDL. Also Single Glaze Glue Chip glass thickness will change from 1/8" to 5/32" thick. Marvin Windows and Doors is pleased to announce an exciting new wave of clad colors, Clay, Suede, Gunmetal and Liberty Bronze. The new colors refresh the range of standard exterior clad colors and harmonize with natural earth tones and crisp contemporary hues which are suited for both Residential and Commercial design. Three opaque and one Mica Pearlescent are included.  Opaque Clad Colors: Clay-A unique neutral tone with hues of light sage and gray, Suede-A soft neutral brown tone, Gunmetal-A crisp gray tone with slate hues.  Mica Pearlescent Clad Color: Liberty Bronze-A dynamic and brilliant medium bronze tone. As with our other Mica Pearlescent finishes, Copper and Bright Silver, a slight variation in color and reflectance is expected with the Liberty Bronze color. These characteristics are inherent with all Mica Pearlescent finishes. These new colors meet AAMA 2605 specifications and are backed by the standard Marvin Warranty.  Effective February 29, 2016, Arctic White, Cumulus Gray, Desert Beige and French Vanilla will no longer be available through the Marvin Standard Clad Color palette. These colors will continue to be available through the Custom Color program for new orders. Also effective on February 29, 2016, phased Architectural projects including Arctic White, Cumulus Gray, Desert Beige and French Vanilla exterior clad colors may be registered as planned projects without the custom color charge applied. Phased projects utilizing these 4 colors must be scheduled for a delivery date no longer than August 31, 2016 for the custom color charge to be waived. The registration period for phased projects will close June 29, 2016 and all future projects will follow the custom color program. Warranty and service support for all removed colors will continue through our existing warranty regarding exterior clad finishes. Marvin's interior stain finish meets WDMA TM 14-09 standards; it establishes acceptable levels of performance with respect to finish integrity and general appearance without the application of an additional field coating. Tests required include: Film adhesion, Chemical resistance, Freeze/thaw cycling, Impact, Block test and exposure testing. Each individual component is stained prior to assembly to ensure complete surface coverage. These finishes are also environmentally friendly. The water-borne enamel conditioner; stain and clear coat have Zero Volatile Hazardous Air Pollutants (VHAP) and low Volatile Organic Compounds (VOC). Let's face it. Staining and painting can be tedious, time-consuming hassle. Ordering finishes that meet WDMA TM 14-09 standards direct from the factory is a great way to achieve beautiful, ready-to-install windows and doors without the mess, fumes and time commitment. 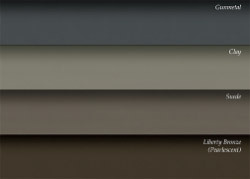 Marvin Windows and Doors is introducing a palette of 6 colors that are sure to meet the needs of any design. Customers now have many choices among the offering of wood species and stain finishes. Custom interior paint colors are also available. Note: Stain colors are shown on Pine. To see all the six beautiful finishes visit Marvin.com or download the Marvin® Finishes app. Sometimes the best thing a window can do is get out of the way and let the view be the star. Marvin® Contemporary Windows, the contemporary design is about maximum light and minimum clutter. It's about connecting the great outdoors with the great indoors with big expanses of glass, natural wood, and clean, bold lines. 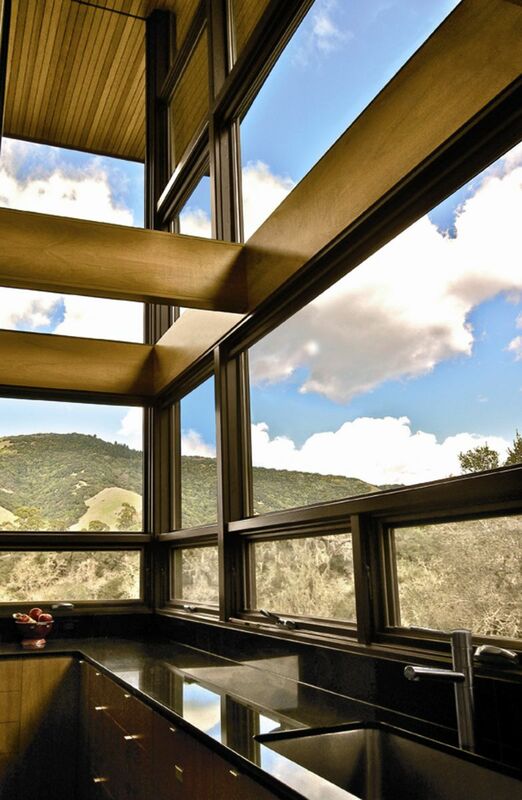 Marvin's Contemporary Wood Windows are the perfect way to transform your vision into a beautiful reality. Doors designed with the idea that the most welcome visitor is nature itself. Marvin® Contemporary Doors are more than a point of entry, they open up your entire home-even when they're closed. 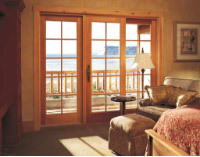 Rich, natural wood frames the scenic view outdoors, welcoming in as much sunlight as the day will bring. While on the outside, clean, modern lines and minimal hardware complement and showcase the architectural details of your home. The larger the glass, the deeper the connection between you and the great outdoors. Marvin® Windows come in a variety of styles. Boring is not one of them, Ultimate Casements & Awnings, Venting Picture, Corner Window, Ultimate Glider and Direct Glaze/Polygons. Options like Narrow frames, square sticking and retractable screens keep lines open and profiles clean, delivering exceptional ease of use, strength and thermal efficiency that meets or exceeds ENERGY STAR® guidelines. Marvin® Doors, whatever your vision, Marvin is wide open. Bi-fold Door, Lift And Slide Door, Inswing/Outswing Door, Sliding Patio Door and Valli Architectural Hardware all afford a nearly seamless transition between the comfort of home and the beauty of the surrounding landscape. Come and visit our Showroom, Marvin Design Gallery by Estates Windows, Ltd. and see this product on display. The Marvin USFD is often cited as the industry benchmark for sliding doors and is a favorite for remodeling. Now you have even greater opportunities to make Marvin the preferred premium door line for the remodeling/renovation trades. With the addition of these three-panel configurations to the standard call number (CN) USFD matrix, operating configurations for both Marvin retro-sized sliding doors (USFD and SPD) will be consistent. Retro Width/Full Height standard call numbers are also added to the Ultimate Inswing French Door (UIFD) and the Ultimate Outswing French Door (UOFD). These new CN sizes are best described as retro width/full size heights doors. Available in two panel 5/0R, 6/0R, and 8/0R widths, the new CN widths are 1 5/8" narrower than traditional full size width doors from Marvin. You will note the "R" designation following the width specifier indicating these CN's are 1 5/8" narrower than their full size counterpart. The height specifiers in the CN's are not followed by an "R" signifying these retain a full size height (e.g. 60R68: OSM= 71" x 82"). Marvin strives to be the preferred premium door line for the replacement and renovation niche. No other manufacturer offers their channel a more comprehensive door line. Marvin's sizes, operating configurations, and options offer the best total value and deliver to you and your customers Marvin'sBuilt Around You® promise. The new additions feature the following, proprietary glass reinforced composite material that provides complementary performance attributes to Ultrex, standard size and special size True-Half Above Springline (RT2) and Eyebrow Above Springline (R6) shapes. These Round tops are available in all six colors: Stone White, Pebble Gray, Bronze, Evergreen, Cashmere, and Ebony. Options for installation are: Nailing fin, installation bracket, and through-jamb. Grilles Between the Glass lite cuts are: RT1 solid hub GBG sunburst and New open hub GBG sunburst; RT2 New open hub sunburst over rectangular lite cut (available in standard and equal lite configurations); RT6 New rectangular cut (available in standard and equal lite configurations). LoE2-272® glass is standard, with LoE3-366® and LoE-180® also available. Factory Mulling: 5W2H with a maximum rough opening (RO) of 96" x 96", IFRT to IFCA, IFAWN, IFSWP, IFSWT, IFSH, IFDH, IFSLP, IFSLT, IFDGP ( Rect). 2Wx 2H with a maximum rough opening (RO) of 72" x 78", IFRT TO IFGL. There are no Palladian or stepped mulls. The WDMA Hallmark Certified Performance is a DP50 rating. At Marvin's very core there are crafts people who take pride in building the right way. That is why, just like every window, Marvin builds each and every Bi-fold Door and Lift and Slide Door to high standards. With the features and benefits that are unmatched in the industry. Every design detail is thought through and through. All backed by responsive, solutions-driven support services. Marvin's Bi-fold Doors and Lift and Slide Doors aren't just beautiful, they can help save energy. Virtually all Marvin products already meet or exceed federal ENERGY STAR guidelines. At Marvin, they are always striving to meet the needs of an ever changing environment. The Bi-fold Door has widths as narrow as 36" to a maximum width of 252" and heights from 32-15/16" up to 97-5/8". Marvin's Lift and Slide Door has widths up to 46 feet wide and heights up to 12 feet. Virtually unmatched design flexibility with a wide variety of standard configurations. 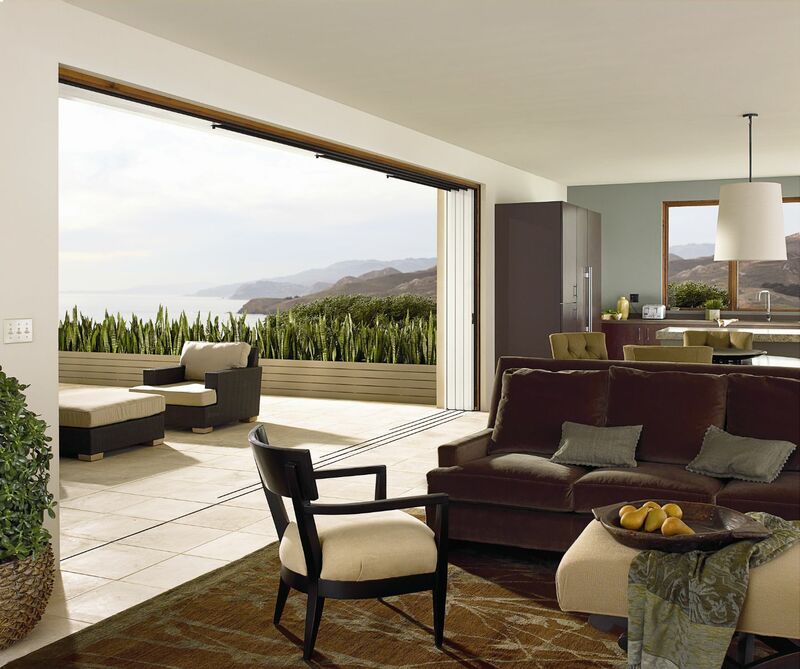 The ideal solution for indoor/outdoor luxury living- Marvin's smart, stylish Bi-fold Door and Lift and Slide Door both opens wide to infuse a space with fresh air and spectacular views. Both the Bi-fold Door and Lift and Slide Door blur the boundaries and create connections with verandas, gardens of adjoining interior spaces.